(Photos by Nick Adams for WCN) Closely fought football-season opener at Southwest Athletic Complex in West Seattle tonight - but in the end, the Evergreen High School Wolverines lost to the ... Read more..
Two events of note: The White Center Community Development Association's White Center Promise celebration is today, 4-6:30 pm at Greenbridge - full details on the WCCDA website. Also, high-school football ... Read more..
(Photos by Nick Adams for White Center Now) White Center Heights Elementary kindergartener Roeesah Thanh not only started school today - she met new Highline Public Schools Superintendent Dr. Susan Enfield. ... Read more..
(Photo by Nick Adams for White Center Now) Be careful out there! It's the first day of school for Highline Public Schools. In our photo, that's new Superintendent Dr. Susan Enfield ... Read more..
P.U.S.H. Radio (Positive Urban Sounds of Hope) will be hosting a Last Day of Summer Street Fair in White Center this Saturday (September 1st) from 5-9 pm, at Greenbridge Plaza, ... Read more..
Just in: We found 2 young golden retrievers this morning by our store. No collars on them. Sandy Simmons White Center McLendon Hardware 206-762-4090 Read more..
We're at the scene of a shooting that caused a lot of commotion - then turned out to be accidental. A man has gone to the hospital with a gunshot ... Read more..
Cleanups come in all sizes. The most important thing is who participates - and that means you. This invitation is just in from Lea at Neat Street (featured here on ... Read more..
Before this week is out, thousands of Highline Public Schools students will be back in class. Thursday is the first day of school. Last day: June 13, 2013. Read more..
Just announced by the Salvation Army - new White Center leadership: The Salvation Army Northwest Division announces the appointment of Captains Raymond and Jennifer Erickson-King, to the Seattle White Center Corps. Prior ... Read more..
Tonight: Rat City Recon, Rollergirls, and Art Walk! Saturday, August 18th, 2012 Posted in Fun | Comments Off on Tonight: Rat City Recon, Rollergirls, and Art Walk! It's a mega-night in White Center. Headlining the bill: The Rat City Recon music fest we first told you about here two weeks ago. "7 killer bands, 3 great venues." It ... Read more..
(Dave Duff, right, takes the oath of office, read by Ray Austin) By Tracy Record White Center Now editor The North Highline Board of Fire Commissioners has a new chair - who's also ... Read more..
First, and shortest, of three reports from tonight's North Highline Board of Fire Commissioners meeting, led by newly appointed (more in report #2) commissioner Dave Duff, a former board chair ... Read more..
(WCN photo from July 2011's White Center Promise celebration) Once again this summer, White Center Community Development Association is hosting a celebration of the White Center Promise initiative - which is ... Read more.. Happy 4th birthday, Big Al Brewing! Sunday, August 12th, 2012 Posted in Beverages, White Center news | Comments Off on Happy 4th birthday, Big Al Brewing! The first story ever published here on WCN, on August 7, 2008, was about the grand opening of Big Al Brewing in White Center. 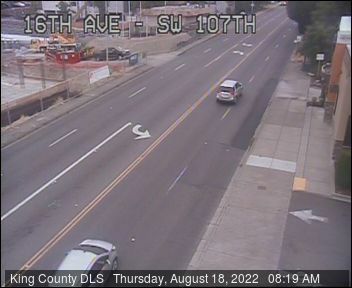 This weekend, Big Al's has been ... Read more..
Just in from King County: King County Executive Dow Constantine and King County Councilmember Kathy Lambert today urged the Washington Utilities and Transportation Commission (WUTC) to conduct a thorough investigation ... Read more.. Thanks to North Highline/White Center neighborhood advocate Gill Loring for sharing photos from one of Tuesday night's Night Out block parties - 20th SW between 102nd and 104th. The host ... Read more..
One more big event Tuesday night besides Night Out - thousands of people invited to the annual hunger-fighting summertime mega-barbecue at Greenbridge Plaza, with partners including the White Center ... Read more..